After the last double-round week of the season, the Euroleague playoff picture is nearly complete. Anadolu Efes punched their ticket to playoffs with the combo of a massive road win in Kauans over Zalgiris in Round 27, and a derby upset over Fenerbahce in Round 28. While the seeding is still yet to be determined, Real Madrid, CSKA Moscow, Olympiacos, Fenerbahce, Panathinaikos, Baskonia and Efes are all making plans for Euroleague basketball beyond Round 30. However, there is one spot remaining, and these final two weeks will be a battle between two clubs who faced off against each other in Round 1 (who will also meet up against each other in what could be a playoff, “winner-take-all” game): Crvena Zvezda (Red Star) of Serbia and Darussafaka (Dacka) of Turkey. It is highly likely that most fans outside of Istanbul will (or should) be pulling for Red Star to hold onto the Euroleague’s final playoff spot (they currently have the inside edge as they sit at 15-13 in the eighth spot; Dacka is 9th at 14-14). With one the lowest payrolls in the Euroleague, Red Star favors playing young Serbian talent developed within their youth system rather than filling their roster with expensive veterans. (Red Star has had one of the best U18 squads in Europe as of late; as they finished second in last year’s Adidas Next Generation Tournament and won their region again this year.) While this certainly didn’t win them a lot of headlines in the off-season from the European basketball media, it definitely helped win them over their fanbase, who could easily rally around a team that was populated primarily by their own countrymen, not always the case with European clubs. The approach has had its peaks and valleys of course, as head coach Dejan Radonjic has had to be patient this year in watching his young guys develop, especially on the offensive end (they started the year 4-7). But the core of young Serbians such as Stefan Jovic, Nemanja Dangubic, Marko Guduric, and Luka Mitrovic, playing along with more seasoned Serbian vets such as Ognjen Kuzmic, Branko Lazic, Marko Simonovic, and Milko Bjelica and foreign imports such as Charles Jenkins, Deon Thompson, and Nate Wolters has produced a club that has managed to be once again competitive with bigger clubs despite being dwarfed in terms of payroll and resources. Red Star certainly doesn’t play the prettiest style of basketball in the Euroleague, as they rank second-to-last in offensive rating (only Barcelona is worse), and last in points per field goal, according to Overbasket.com. This is mostly due to the streakiness of Red Star’s offense, as well as their shooting, which is led by Simonovic, Jenkins and Wolters off the bench. When those three are hitting shots, they can beat anyone in the Euroleague. If they are not…well, it tends to be a rough night, as we saw in their last game against Barcelona, where Red Star posted a true shooting rate of 35.3 percent and 0.84 points per field goal (highlighted by Simonovic posting a 0.63 in that category). That is not to say Red Star is inept in putting the ball in the hoop. They have some players who can have big scoring nights and carry their team to victory, as Kuzmic, Simonovic, Jenkins and even Guduric (who played crazy well against Olympiacos) have proven. The unfortunate issue though is Radonjic and the Red Star fans have no idea where it’s coming from game to game (and if it will come at all). So how has Red Star been successful? 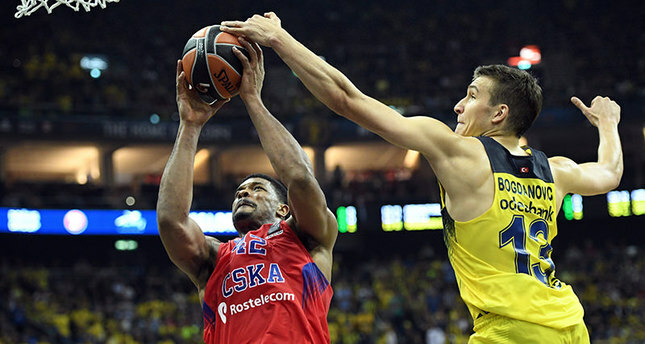 That can be mostly credited to Red Star’s defense, which ranks as one of the best in the Euroleague. They have allowed the fewest points per game at 73.3, just a shade better than Olympiacos, who is third overall in the Euroleague. Radonjic has his guys play incredibly hard on both ends, as they contest shots well, don’t give up easy baskets, and are able to switch for the most part pretty well off the pick and roll thanks to the all-around tenacity and sneaky athleticism of their players on the defensive end. Kuzmic has even become an average to slightly above defensive player with Red Star, something that was thought to be unthinkable last season when he played with Panathinaikos and was mostly regulated to limited minutes. As long as the offense is good enough, Red Star has come out victorious because of their stingy and tough defense. Case in point: If you look at their schedule this year, when they score more than 1.00 PFG, they are 13-2 this year (only losses came to CSKA in Moscow and Dacka in RD 1); when they score less than 1.00, they are 2-11. 1.00 is about average, so that just goes to show that when Red Star can muster “average” (not even good) offense, they will be on the winning side more often than not because they are so effective at preventing points on the other end. Unfortunately, it hasn’t been easy to muster “average” offense as of late, thanks to guard Stefan Jovic missing multiple games due to injury. Jovic, who is talked about as a target of Barcelona this off-season and is struggling with a nagging back injury, missed Rounds 24-27 and only played 3 minutes in a Round 28 loss to Barcelona. The result? A 2-3 record and some missed opportunities to clinch a playoff berth. Jovic’s statline isn’t impressive: he’s averaging 7.5 ppg and is shooting only 42.9 percent and 0.95 PFG. However, when he’s on the court, the offense hums, as their true shooting rate is 48.6 percent and PFG is 1.05 when he is on the floor. When he’s not? Their true shooting rate dips to 43.8 percent and PFG sinks to 0.95. Without a doubt, the health of Jovic down the stretch, and how much he plays, will be a big factor in Red Star’s playoff chances. His playmaking, passing, and ability to lead the offense in high-leverage situations makes Red Star a slightly above average offensive team when he’s on the floor, and considering their defense, that should be enough to get them in the postseason. The only question is IF we’ll see him on the floor in the next two rounds. Unlike some injuries to key players this year (mostly Bogdan Bogdanovic of Fenerbahce), it has been hard to determine when Jovic will be back seeing major minutes again. 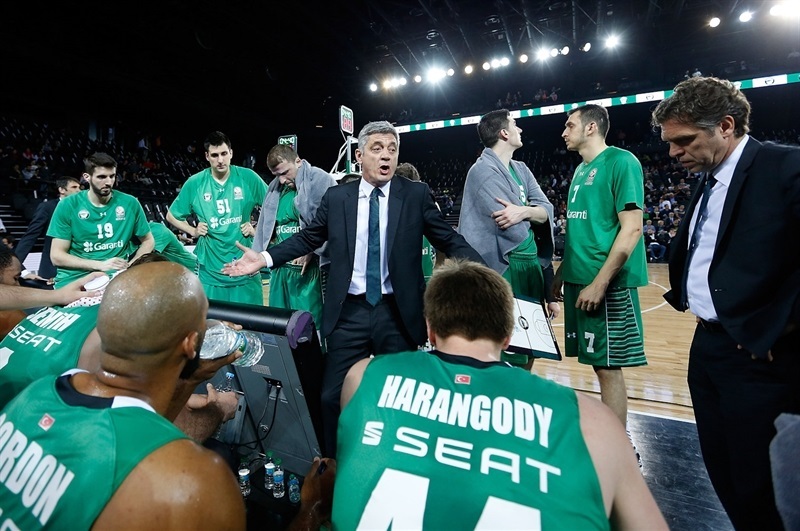 We’ll find March 31st against UNICS Kazan. While Red Star’s local talent and high energy crowd have made them the darlings of the Euroleague fan-o-sphere, Dacka may be their evil twin of sorts: they really haven’t been all that good until the past few years, after the wealthy Dogus group acquired their club, intent on making them a contender with traditional Turkish powerhouses such as Fenerbahce, Efes and Galatasaray. This season, qualifying despite the format downsizing from 24-to-16, there seemed to be signs of Dacka taking that step forward to become one of Europe’s elite clubs. They signed David Blatt, who coached the Cleveland Cavaliers for a season and a half (and took them to the NBA Finals). They acquired big-name American talent in Brad Wanamaker (coming off a solid season with Brose Bamberg) and James Anderson (who played last year with the Sacramento Kings); and they also picked up in the middle of the year, Ante Zizic, a Croatian national who was a highly lauded draft pick by the Boston Celtics in the latest NBA Draft. And lastly, after a 73-70 win in Belgrade (a very difficult thing to do considering those fans) in Round 1, it appeared Dacka was ready to make the transition into the upper division of the Euroleague after making the Top 16 a year ago. So take all that into consideration when it comes to rooting for Red Star or Dacka over the next two weeks. And take into consideration that Volkswagen Arena, where Dacka plays their home games, tend to be lifeless contests unless they are playing Fenerbahce or Galatasaray, who can have their fans flood the building (the Efes game was pretty lifeless). And take into consideration that Dacka’s status in the Euroleague is unknown, as Dogus is rumoured to become a primary sponsor of Fenerbahce next year, and make Dacka a “developmental” club to Fenerbahce that will primarily compete in the Eurocup next season. And take into consideration that if that regulation does happen, Wanamaker and Blatt are as good as gone, making this club a shell of its current self (and you can bet the fans will go as well). It’s pretty simple. For newly christened European basketball fans like myself who are growing more in love with the European game everyday; for those seasoned Euroleague veteran fans and bloggers who want solid, exciting playoff basketball; for those who care about the health of the sport in Europe and it’s future; for those that cheer for the underdog not just in basketball, but any sport…the decision is really simple when it comes to whether or not Red Star or Dacka should claim the last playoff spot. Let’s go Red Star…and let’s go Brose Bamberg (who play Dacka in Round 29). Let’s start planning for a playoff game in Belgrade by April 1st.